Sending files from a mobile device in to another is common. Normally we use Bluetooth, Wifi etc mediums to transmit data between devices. 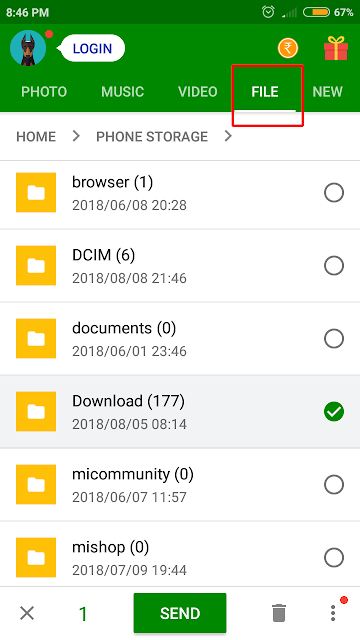 If we want to send files from a phone to another device, first we select the files and use the send or share button to initiate transmission. If you want to send a folder, then there should not be a share option. In this case we need to adopt some alternative ways. Let’s see two of them. First of all, just select the folder that we want to send. 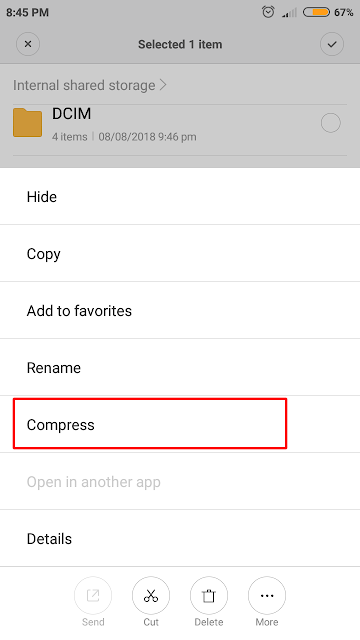 Next go to the folder option and choose ‘Compress’. Compress is a process of making your folder/files in to a single zip formatted file with low size. Give a name for the zipped file. Now you will get an another zip formatted file. All your folders, files are enclosed inside this file. Now send option is available. 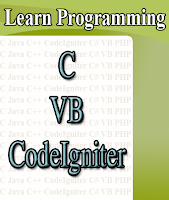 After sharing the file, the recipient should extract the compressed zip the file in to the original folder format. 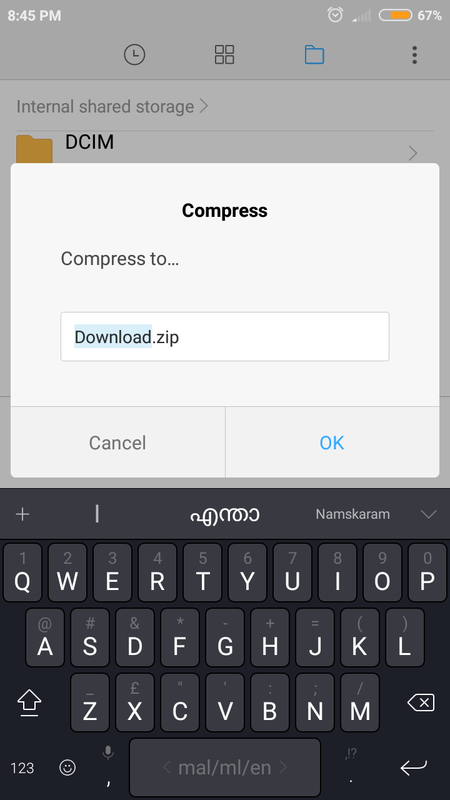 Note: Compress option is not available on all android devices. Normally that is available with your android operation system. 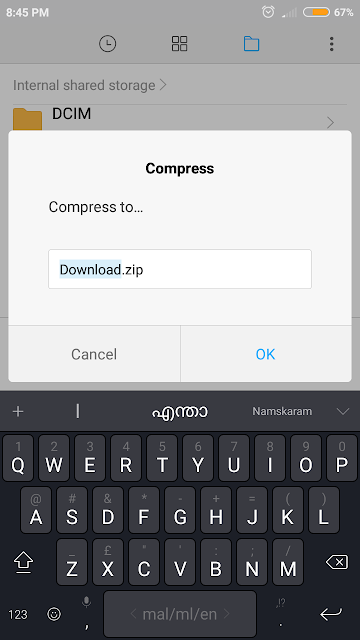 If does not, you need to downloaded any compressing or zip application from play store. You might delete zip file after sharing. 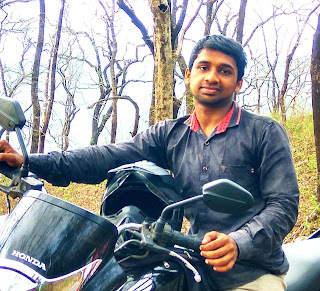 Xender is a popular application to share files between smart devices. This app available for android, iphone etc. Like sharing files you can also send folders directly. Here, you first open you Xender app. 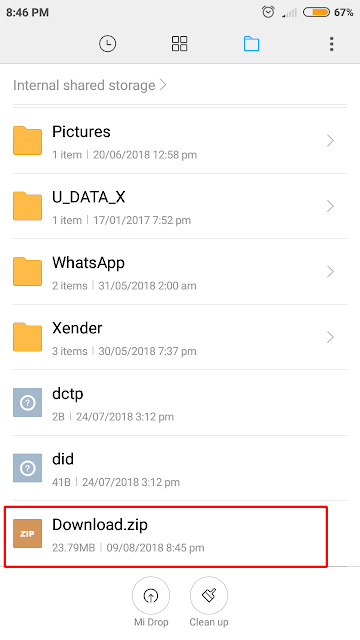 In Xender there is a tab named ‘File’. Now you just browse and select your folder that you want to send. Now just tap the sent button. 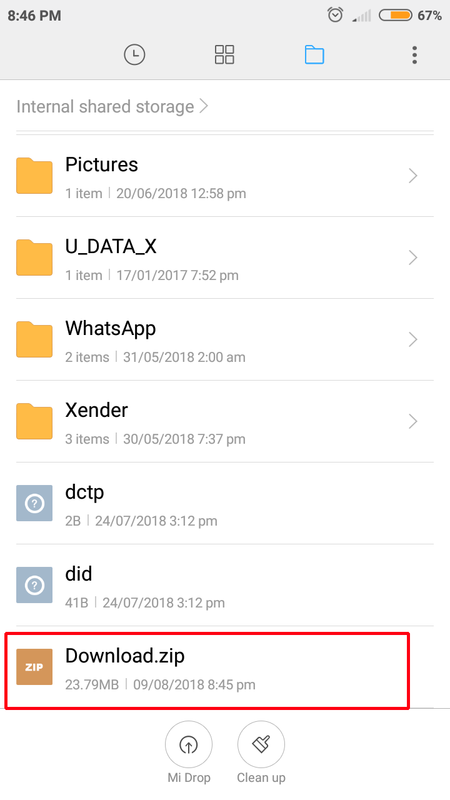 In recipient, the received folder will be available on Xender folder on your file explorer.